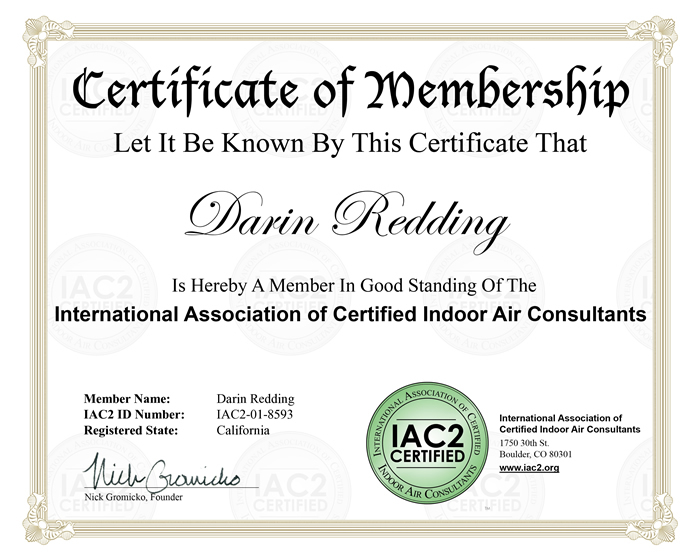 We are a Certified Professional Inspection Company ready to work for you. 17 years of construction and general contracting experience. 5 years experience in risk mitigation and insurance claims. 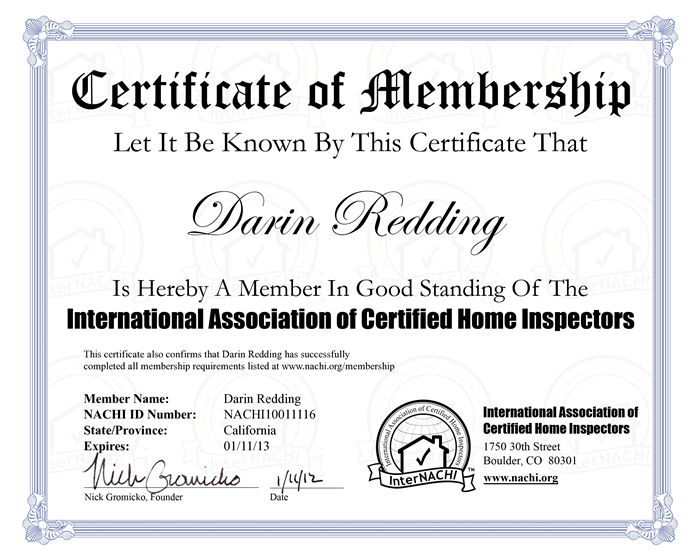 We are a member in good standing of the National Association of Certified Home Inspectors (InterNACHI). We abide by InterNACHI’s Code of Ethics. We carry General Liability and Professional Liability (E&O) insurance to protect all parties involved. We cover referring agents as additionally insured at no cost. We follow InterNACHI’s Standards of Practice. 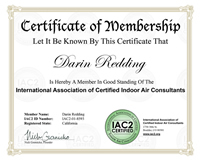 We are certified to perform Radon and Mold inspections by the International Association of Certified Indoor Air Consultants (IAC2). We fulfill 24 hours of Continuing Education every year. We own and use high-tech equipment in the analysis of your home. We do inspections on Saturday and Sunday for all you last-minute people. 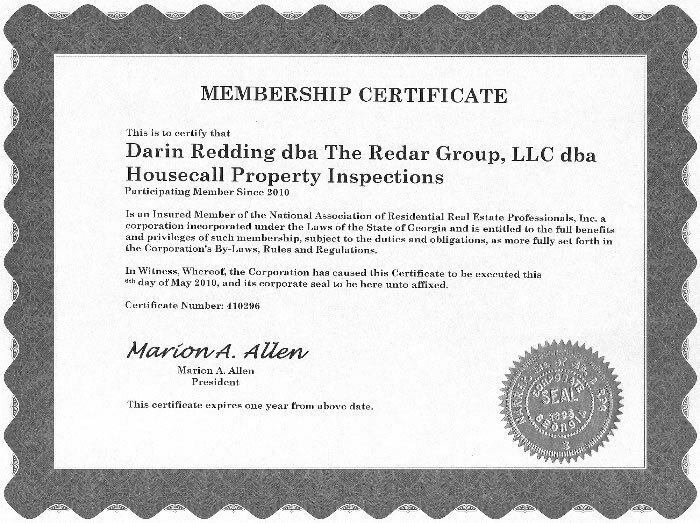 We offer live online scheduling to get your inspection done fast. We use electronic agreements. No more paper shuffling (there is enough of that going on during escrow anyways). We deliver easy-to-read inspection reports in PDF format with color photos embedded that can be downloaded within 24 hours of the inspection. We offer a 100% satisfaction guarantee. Call for details. 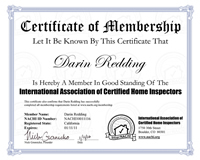 Find a home inspector in San Diego, make a Housecall!